Mammut Protection Airbag System P.A.S. The Mammut Protection Airbag System P.A.S. 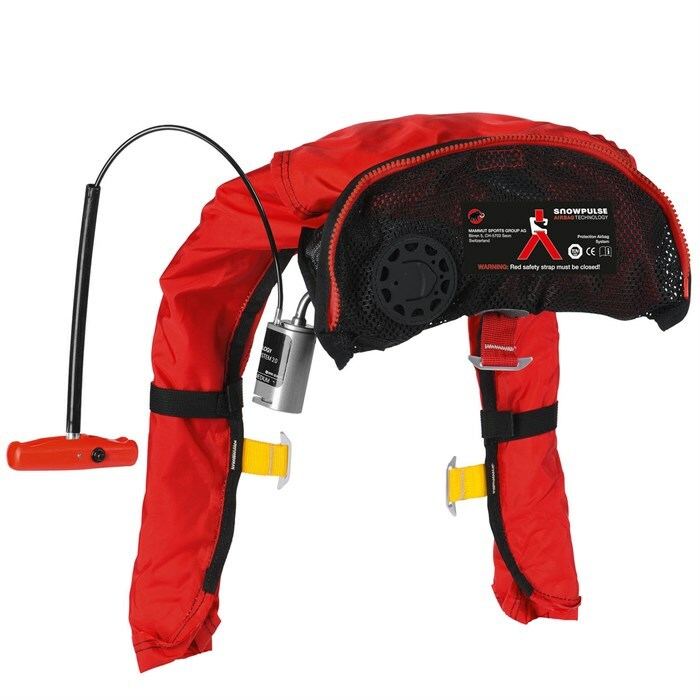 is the compatible airbag system for Mammut Protection Series packs and vests sold without the airbag system - the "guts" of the airbag system without the pack or garment. The P.A.S. system stands for Protection Airbag System, and incorporates industry-leading Mammut technology; Trauma Protection and Head on Top. This system is removable and can be moved from one Mammut Protection Series pack to another as the situation dictates. 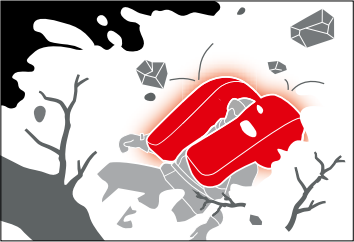 Reminder  The Mammut Protection Airbag System is sold without a pack. Protection Airbag System  The Mammut® Protection Airbag System is the newly developed version of the well-known Snowpulse® Lifebag system. The special shape of the airbag and its clever integration in different backpacks are unique features. The shape of the airbag protects the wearer's head, neck and chest area from mechanical injuries and in the event of an avalanche ensures an optimal position by keeping the wearer's head and upper body on the surface. The Protection Airbag can therefore not only help to prevent complete burial, it also offers additional protection from mechanical injuries. In addition to the safety features, Mammut have succeeded in designing a completely "removable" airbag system. This allows the user to swap one system between several backpacks, allowing for him or her to always select the most suitable backpack for the relevant application. Head on Top Technology  Head on Top technology ensures that in most cases, the wearer comes to rest in a seated position with their back facing down the slope and their head on the surface of the snow. This is the ideal position since the respiratory tracts are covered by snow, reducing the risk of suffocation. The key to Head on Top technology is the special shape and positioning of the airbag. The main buoyancy volume of the airbag is located around and above the wearer's head. Trauma Protection  Around 20% of deaths in avalanches are caused by trauma. These are mechanical injuries incurred as the victim is swept along in the avalanche. Trauma occurs in greater frequency below the tree line. These injuries are often to the head, neck and chest areas. It is precisely these very sensitive areas of the body which are protected by the special shape of the airbag. Removable  The user can independently install the airbag system in a backpack and remove it again as required. Installation or removal takes just a few minutes and the process is easy and safe to carry out. This allows the backpack to be used for other activities without the airbag system. Maximum Reliability  Maximum reliability for deployment: the airbag is filled within three seconds, even if there is resistance. Simple and Safe Operation  Simply screw in the cartridge at home, quickly check the airbag system and fold out the deployment handle before you start - ready for powder! Lightweight  During the development process of the airbag systems, special attention was paid to the lightness of the construction and space requirement. This has resulted in a significant reduction in weight and packing volume. Ready for Use in Any Condition  Mammut airbags are based on a simple mechanical system. The pressure cartridge, the energy store of the system, is completely ready for use in any weather and at any temperature. 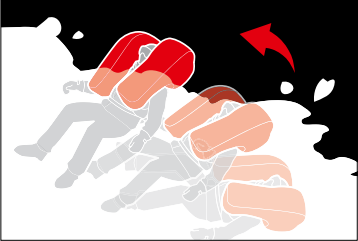 Warning  Wearing an airbag backpack is no guarantee of survival in an avalanche. Backcountry travelers are highly advised to educate themselves in snow stability assessment, route finding, and companion rescue and carry all of the conventional avalanche gear in addition to the airbag. Cartridge Not Included  Mammut airbag packs are sold without the cartridge which must be purchased separately.